LAFAYETTE, CO. - The USA Girls' and Boys' U18 7s programs will compete in the USA Futures 7s competition during the 45th annual CAN-AM Rugby Tournament at Saranac Lake Placid July 27-29. Taking place in the host region of two Olympic Winter Games (1932 & 1980) and a U.S. Olympic Training Center (Lake Placid), more than 60 future Olympians will display their skills, after which USA will announce the boys' extended squad for the 2018 Youth Olympic Games (YOG). Broadcast information will be confirmed closer to date. Participation in the USA Futures Sevens follows the release of USA Rugby's new American Rugby Model, a four-year age-grade schedule including expanded high school All-American (HSAA) player pools. Inclusive of three girls and three boys USA teams -- called Red, White and Blue -- the United States will use this tournament to increase emerging athletes' exposure to elite competition. 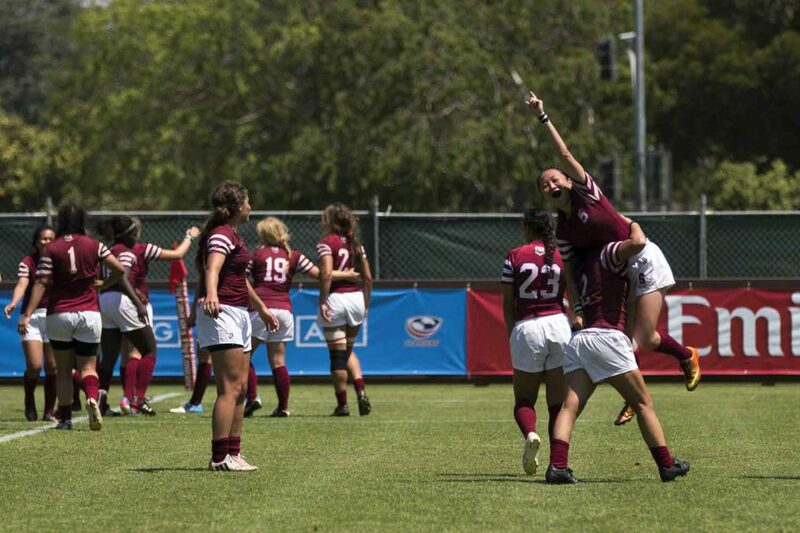 "It is critical that we continue to build competitive high level domestic opportunities for our young age-grade players," says Emilie Bydwell, USA Rugby's General Manager for Women's High Performance. "The ability to leverage the legacy of the CAN-AM tournament, and build competition plans for multiple years allows us to better plan player pool development. And, with our girls program not attending the YOG in October, this tournament provides an exciting competitive experience to keep players engaged." The Futures event, comparable to the McDonald's High School All-American basketball game in the U.S., is hosted during one of the longest running rugby competitions in North America. Structured with United States teams competing against one another, the competition encourages domestic growth for athletes on track to compete for a spot at the 2024 Paris and 2028 Los Angeles Olympic Games. While the women's players will use the experience to develop in preparation for the inaugural U18 North American Four or Stars & Stripes competition in December; USA Rugby will select and announce the boys' extended squad for the 2018 Buenos Aires Youth Olympic Games on the last day of competition. "The extended squad selection will not be something easy for the coaches to complete during the CAN-AMs based on the strength and commitment of the squad," says JD Stephenson, Head Coach of the Boys' Youth Olympic Games team. "The 'miracle' setting -- a high performance environment coupled with our gracious hosts -- will afford elite development and draw a high level of competition out of our All-American players"
While Stephenson leads the boys Youth Olympic Games team, coaches for the USA Futures 7s will be selected from Project SOAR, USA Rugby's new coaching development program launched this March. In May, a development camp will be hosted at the Army Navy Academy in Carlsbad, CA to help potential participants advance their skills ahead of competition. The 2018 USA Futures Sevens will be held at Saranac Lake Placid during the 45th Annual CAN-AM Rugby Tournament this July 27-29. U.S. teams will be housed at Paul Smith's College -- the only four year school in the Adirondack Mountains with both women's and men's rugby teams -- through the weekend. Though broadcast information will be confirmed closer to date, updates will be available by following @USARugby on social media.